BREAKING: Does This Video Confirms Marouane Fellaini Is Leaving? 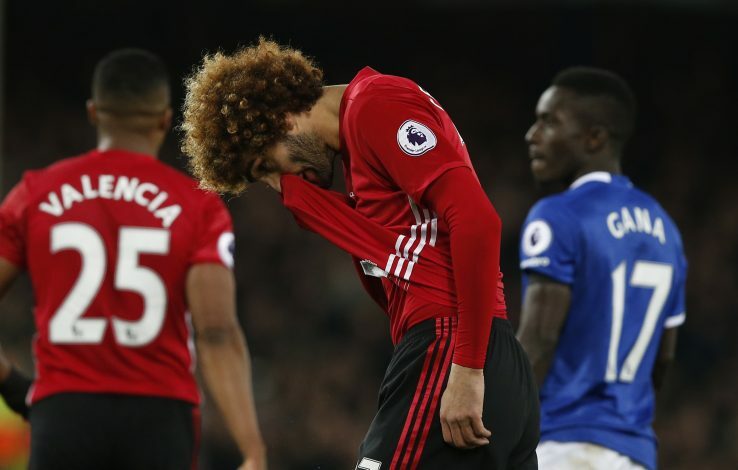 Speculation over Marouane Fellaini’s exit from Old Trafford have been rampant since the summer, despite Jose Mourinho being adamant in his stance that the player was an integral part of the squad, and wouldn’t be sold. The interest stems mainly from the fact that he is on the last year of his contract and can begin to look at offers, and even sign an early contract with other clubs as early as January, before leaving for free. And to further add to the uncertainty around his future, Milliyet has claimed that Turkish giants Besiktas are the most interested club in pursuit of the Belgian midfielder, and their report also includes a clip that might provide strong evidence. The video shows a man of Fellaini’s build and iconic hairdo in the lobby of the Swissotel in Istanbul. While the Twitter post has certainly raised much ado online, there is no definitive conclusion that the person being shown is, in fact, Fellaini. Further, the man goes on to sit down with two other men, after which the clip concludes. The uncanny resemblance has led many to conclude that this is an indication of negotiations with the Turkish club. All in all, it is inconclusive, as the hairdo is pretty popular after all. As per the knowledge of most fans, the 29-year-old has been recovering from a hamstring injury that has sidelined him for several weeks. But most of them cannot fathom a reason as to why he would want to leave. Indeed, prior to the injury, Fellaini was arguably the side’s best player, proving instrumental as an attacking midfielder in the absence of Paul Pogba. A lack of playing time might be the only factor that might play into any decision involving an exit. Regardless, Jose Mourinho is a big fan of the player, and places in him the kind of faith and support that few other players can boast of, and this ought to be in the player’s mind before coming to a decision.